We all can agree that comfort is very essential when we are travelling. Which is why when Bollywood celebs serve us travel looks which are stylish and comfortable, we are totally motivated to try them out for ourselves. For instance, check out Alia Bhatt's casually chic and comfortable outfit from this morning. Wearing an all-white tracksuit with black stripes down the side, Alia gave an all new meaning to stylish athleisure looks. Check her look out! If you want to wear something similar to what Alia Bhatt, get this Sunward tracksuit which comes with a hoodie and pair of matching sweatpants. The black stripes add quite a stylish touch to the tracksuit. You can wear this with white sneakers or black heels for the complete look. Priced at Rs 1,554, you can get this here. 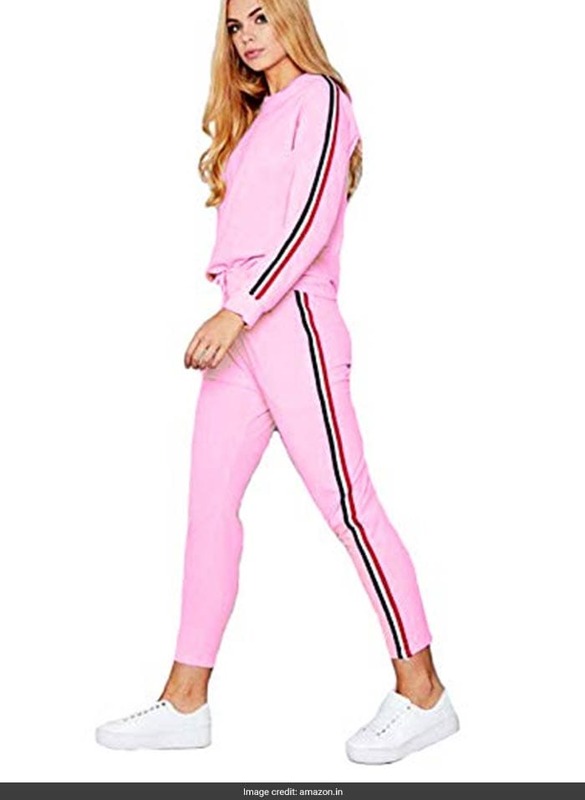 If you want to wear something vibrant, go for this Shocknshop tracksuit in pink. 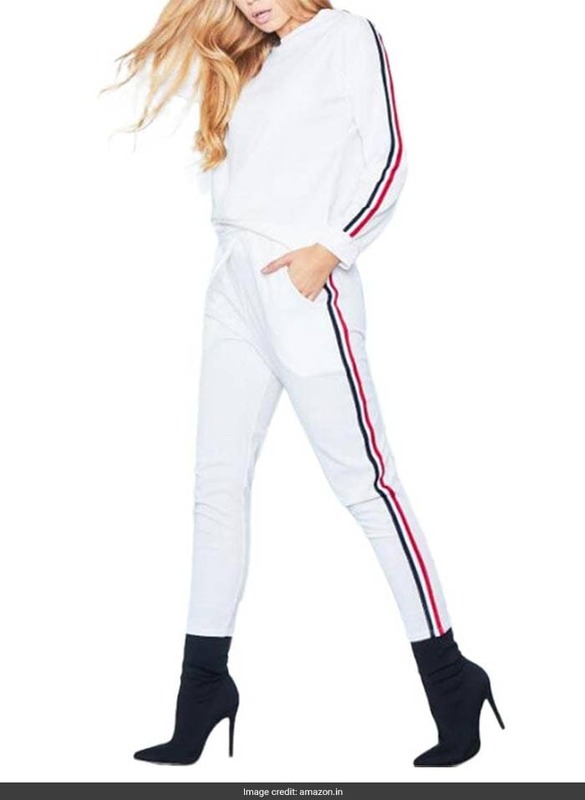 This tracksuit comes with red and white stripes down the side. This will be a great piece to get for summer. 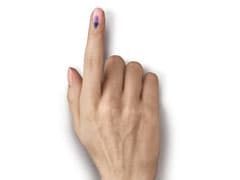 Priced at Rs 799, you can get this here. 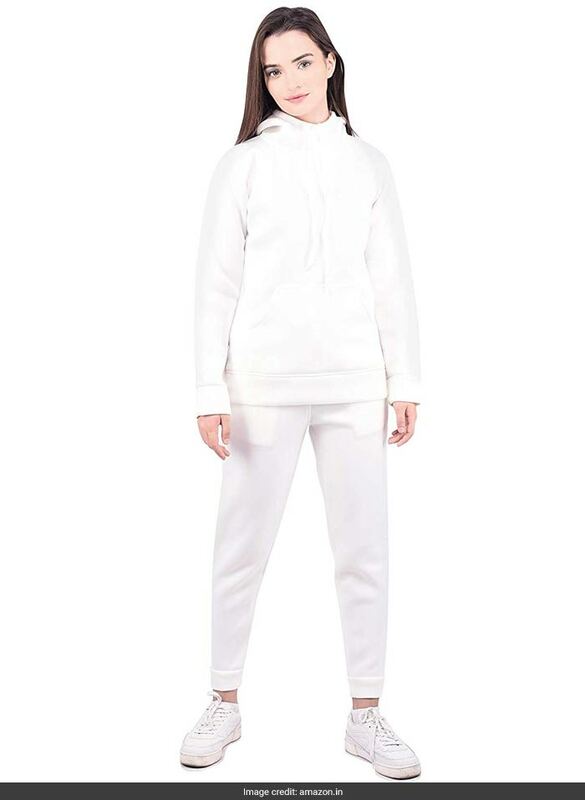 If you want to go for an all-white tracksuit with no stripes down the side, go for this Veeba World tracksuit in fleece. This set is available in four other colours. Wear this with a pair of black sneakers to add a contrasting element to the outfit. Priced at Rs 1,099, you can get this here. 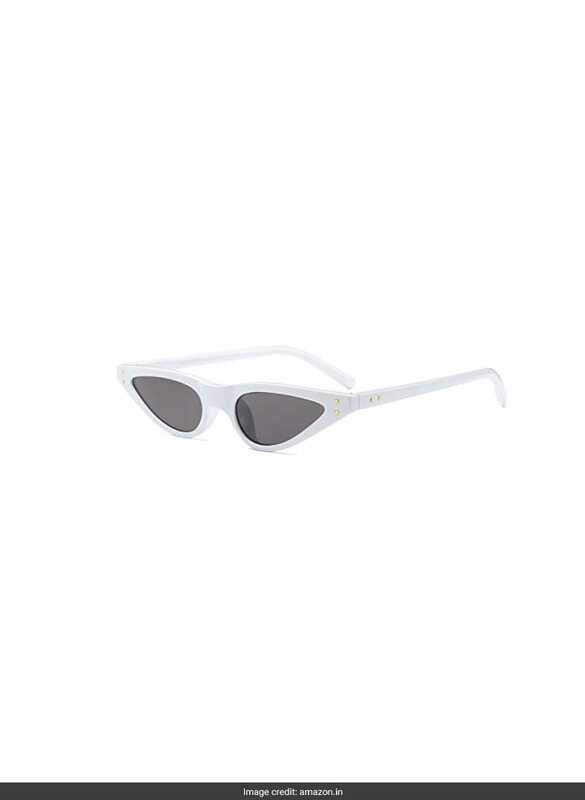 As for the sunglasses, get this pair of Torque Traders cat eye sunglasses. 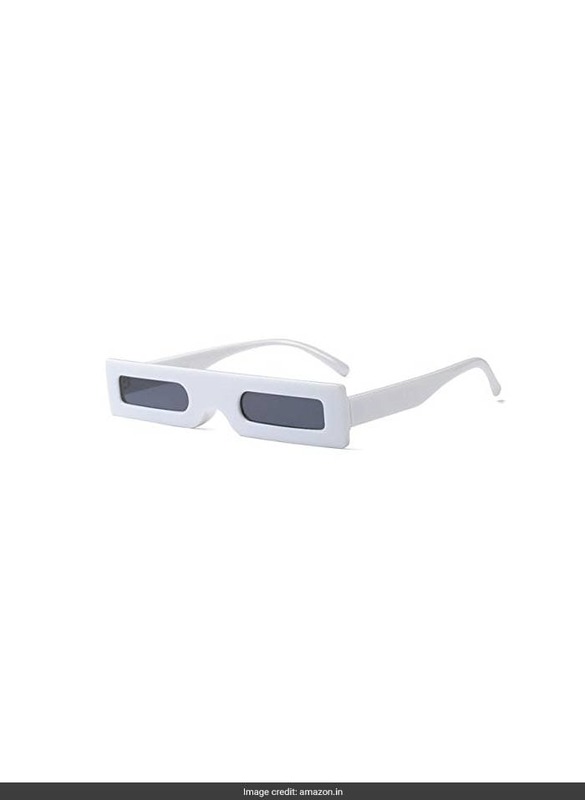 These vintage looking glasses in white make for quite a statement accessory to get. Priced at Rs 1,618, you can get them here. If you want to go for a different kind of statement sunglasses, this pair of rectangle framed BUILD BASKET sunglasses is the piece to get. Both this and the sunglasses above will look great with this tracksuit outfit. Priced at Rs 1,468, you can get them here. Thanks for the casual look inspiration, Alia!